What are the problems and how can we fix them? Is there anything more American than deferring to a broken legal system for justice? In the arts, as in daily life, outdated and unbending laws are expected to govern wide scopes of our ever-changing experiences. In music, it’s long been hip-hop that has butted up against the law; the genre’s creative use of sampling became a source of never-ending litigation early on, eventually encouraging more producers to turn away from sampling and towards original composition. More recently, though, the broader shortcomings of existing copyright laws have been magnified. 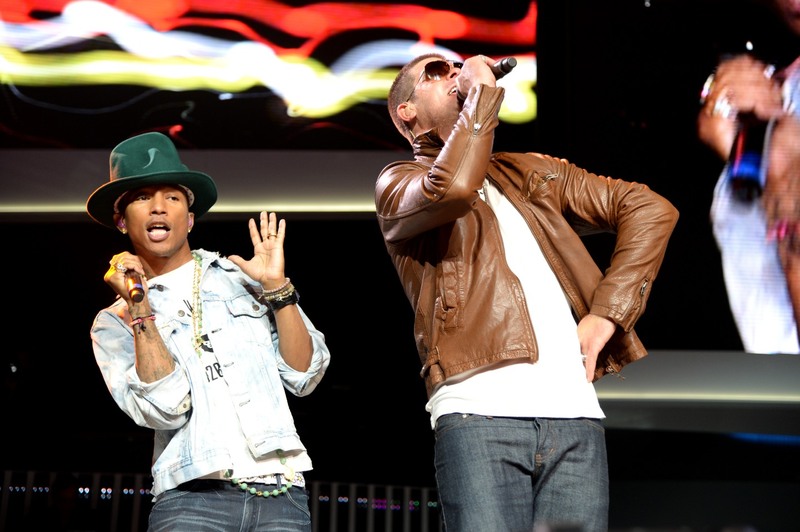 The fallout from the landmark Marvin Gaye vs. Robin Thicke and Pharrell case, in which Gaye's estate was awarded a victory because Thicke's "Blurred Lines" emulated the style of "Got To Give It Up," highlighted the issue to the average music fan, leaving many of us scratching our heads. How do you quantify vibes and musical textures? The decision gave many people pause and, months later, we're still wondering how, and whether, the laws will ever catch up to the times. Copyright is a dense subject and it can be difficult to wade through the legalese, so FADER asked four industry experts—each occupying a different position, perspective, and vested interest—to explain copyright laws as they pertain to music in 2015. Here, in laymen's terms, they explain what’s wrong with the system, and how to change it. The “Got to Give It Up”/”Blurred Lines” circus set a dangerous precedent. Prior to that case, copyright infringement had been based on the "copying" of the melodic content of another pre-existing song. Pharrell and Robin "Beetlejuice" Thicke merely copied the ‘style' of Marvin Gaye's classic, admittedly so. They were just sure that they would get away with it. According to the way the law had been interpreted until then, they indeed were not guilty. They were guilty of hubris, creative necrophilia, and all-around artistic douchebaggery for co-opting such a beloved style in such an obvious way...but not copyright infringement. Mark Ronson would never have had to add [The Gap Band] to the writers’ credits of “Uptown Funk” if the “Got to Give it Up” / “Blurred Lines” suit hadn't gone the way it did. Yes, that song sounds like Morris Day and the Time and several other early ‘80s funk styles but that is exactly what Mark and Bruno were going for...in more of an homage type of way. Which is why at the first sign of legal rumblings, they simply gave credit. Up-town-funkyouup, uptown funkyouup and Oops-up-sideyourhead, oopsup sideyourhead are simply the same rhythm. Before “Got to Give it Up” / “Blurred Lines,” that was not considered copyright infringement. Basically, the way things stand now, it’s up to any given judge or any given jury on any given day and there is really no clear ideology behind what is theft and what is influence. Being found guilty, like Pharrell and Beetlejuice were, sets a dangerous precedent for those just starting out. All music creators begin honing their craft by emulating the style of their heroes. If we make that "illegal", where will that leave us? How to fix things: Some sort of agreed upon language and ideology needs to be put in place. The nature of intellectual property has been and continues to be changed by the advances in technology and the rules regarding what's fair game and what’s theft need to be a bit clearer. Today, very few producers are actually "musicians" in the traditional sense of the word. They are sonic collage artist and their source material is everything that came before them. When they use an actual piece of a pre-existing recording, there are rules in place for how to go about releasing it commercially where the owner of the song and the owner of the recording get paid. We need the same type of rules for when a producer re-creates a piece of another song or uses a stylistic concept that can be identified. The big question becomes: who should decide what is and what is not theft? Certainly we've seen that left up to a judge or a jury, the results will be arbitrary at best. Perhaps a bunch of lawyers, musicologists, producers, and songwriters should get together for a summit and come up with a "bill of rights" for modern day recordists. Then again, the problem with that is lawyers, musicologists, producers, and songwriters each have a different interest how things should come out. Maybe it should be done by popular vote...on a reality show, kind of like Cops meets America's Got Talent. Current laws have resulted in quite a bit of creativity, as measured by the sheer number of samples spreading across Soundcloud, YouTube, and beyond. This is a function of those sites—and, subsequently, their userbases—feeling protected by safe harbor. But a system that keeps millions of new works in a legal grey zone while expecting songwriters and artists to play whack-a-mole to protect their rights is wholly inefficient. How to fix things: Rather than changes to the law, the industry should pursue the adoption of specific standards around sampling that creators can opt-in to: One that seamlessly enables the free flow of creativity and commerce while affording artists their rightful protections. The biggest weakness in American copyright law is that it hasn’t been overhauled since 1976, back when the newest technology was the photocopier. However, I don’t expect a legislative fix that would be beneficial for digital samplers, because today the copyright content industries have even greater lobbying power over Congress. 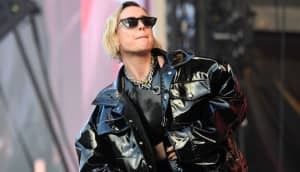 How to fix things: I think an expansion and clarification of the fair use doctrine will give more artists and activists the confidence to create their remixed messages without fear of a lawsuit. This has already happened in the world of documentary filmmaking, after the release of the Documentary Filmmaker’s Statement of Best Practices in Fair Use, which inspired other creative communities to create their own fair use best practices statements. There are good things about the overall system that probably help musicians on balance, such as the fact that there is a very low threshold to enjoy copyright protection, or that transfers to record labels/publishers can be terminated after 35 years. But things like that are not unique to musicians. There are many limitations of current music copyright law. Musicians can be hurt directly and indirectly by certain provisions. In terms of direct harms, recording artists don't have a general public performance right, meaning U.S. recording artists don't get paid for AM and FM radio play, among other things. And musicians who sample face an uncertain and expensive process. As for indirect harms, musicians suffer from certain harms of omission. For instance, musicians would benefit from more transparency in accounting. Copyright law doesn't really concern itself with creating incentives for transparency. But I think it could and probably should. It's important to remember, however, that the law on the books only takes you so far. Everything is mediated by the business practices of the music industry. Some of those practices are good for musicians, but many of them are not. Record contracts in the major label system are needlessly complex and generally unfavorable to the artist. Copyright law perpetuates the big intermediaries in subtle ways. But the main point is that it's worth thinking about both the legal provisions and the business arrangements that occur in the shadow of those legal provisions.